Posted on December 12, 2017 at 5:23 pm. 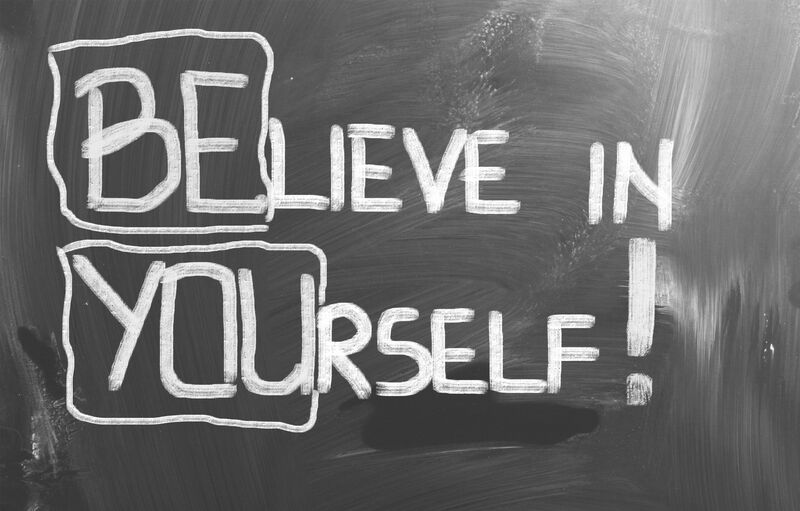 Do you believe in yourself? You know if you don’t no-one else will! But if we believe in ourselves, eventually everyone else will start believing in us also. We must be responsible for creating our own happiness and should always live our lives with meaning. If only we understood that if we believe in ourselves then we would be unstoppable, with anything being possible! It’s being determined and saying I know what I want and I’m going to get it, and getting it! Belief is the best investment you can make in yourself. So, how can we start the process in investing in ourselves? Motivation – Motivate yourself to get you started and remember that eventually believing in yourself will become a habit. Imagine – This is the first secret. Using your mind to really go there in your imagination. No limits or limitations. Believe – With every fibre of your body and mind, believe that believing in yourself in TRUE, the magic is making it happen – never stop believing. Achieve – Challenge yourself to make the changes you want, and you will find that you will achieve the goals you want to. Are you going to be a quitter or a winner? Are you aiming for victory? If so the rewards are great! You just need to believe you can do it! I try to work hard to take time out each day to actively believe in myself, whether it be for a project, job or task, and go out each day believing this to be true. It is hard to start with, but it does get easier and then eventually it’s so ingrained in you that you don’t even think about it! You too can create the great habit of investing and believing in you! In some ways you could say it’s pretending, ‘faking it until you’re making it’! This is what it feels like to be begin with, but in time, it becomes the norm, YOUR norm, and something that becomes your new default mechanism, so much so you will wonder why you never invested in this process before.